Ram Gopal Varma will make a movie with Ravi Teja without spending a rupee. The movie will start on February 11. 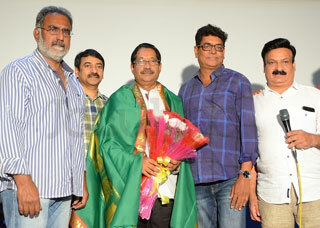 Katha Screenplay Darshakatvam – Appalraju will release on February 4th. The movie titled Dongala Mutha will be an out and out entertainment thriller. Charmee, Ajay, Subba Raju will play important roles in the movie. A film generally will take about 100 to 150 days to complete shooting. About 150 to 200 people work in a film unit. But Ram Gopal Varma is going to make a film of two-hour duration within just five days. The film will be made with only eight unit members. Ram Gopal Varma will not pay any remuneration to artists, technical crew members or to suppliers of equipment. After the release of movie, if it makes any profits artists will be paid depending on their contribution. Dongala Mutha which begins shooting on Feb 11 will be released on March 11. A particular film making technology will be used for this movie which makes it possible to make two-hour duration movie within five days. The movie is going to be a benchmark for making films without money. Those who are interested in film making or those who want to participate in it need only passionate story and an urge for making movie. My movie Dongala Mutha will prove how technology can be used to prove this said Ram Gopal Varma in a press release.